Eclipse robots are J-KEM’s most popular series because of the enormous flexibility of deck configuration, modular design, and affordable price. 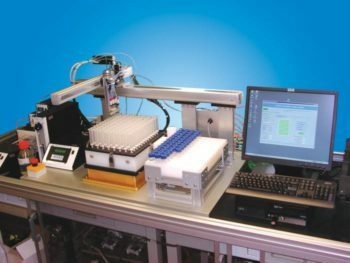 The Z-arm supports multiple tools, such as grippers, septum-penetrating needles, cannula, pH and spectroscopy probes, and disposable tips. Eclipse Robotics is a tool your lab should take a look at if you haven’t seen them before.